BOMBS AWAY! 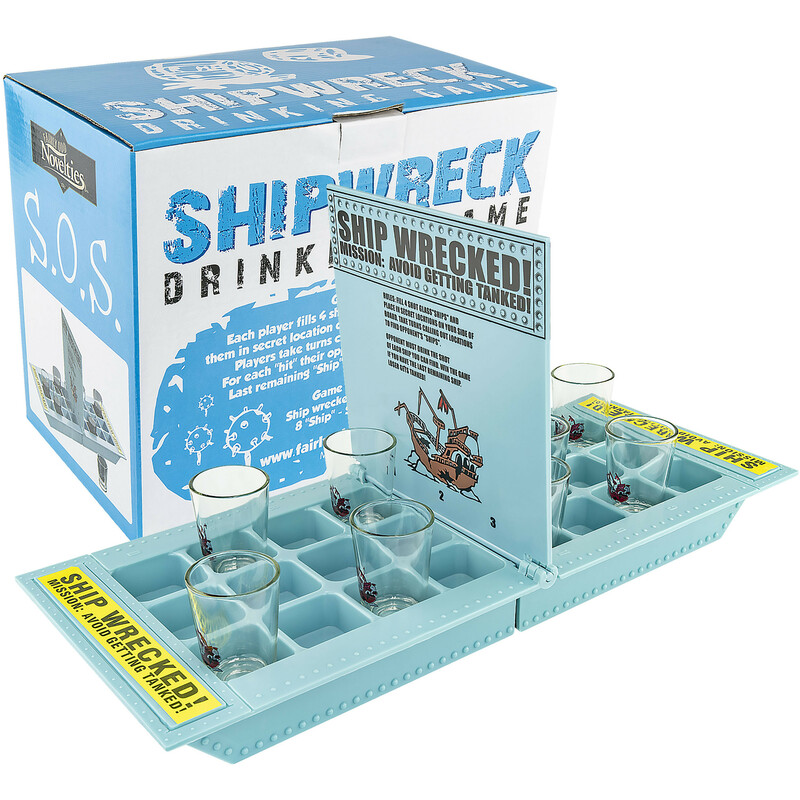 Get ready for ridiculous and Unique Drinking Game Action with SHIPWRECK: the crazy new two-player drinking game from Fairly Odd Novelties! Grab a bottle of rum and your mateys and prepare for hours of fun in this fast-paced re-imagining of a classic board game! Playing is simple: just set up your game board, place the included shot glasses on the squares you choose, and BOOM! Hours of fun on the high seas are guaranteed with this essential addition to any set of drinking games! Set contains ONE GAME BOARD and EIGHT CUSTOM SHOT GLASSES! Who needs a ship? Take your shots into battle with SHIPWRECK from Fairly Odd Novelties! Grab a bottle of rum and your mateys and prepare for hours of fun in this fast-paced re-imagining of a classic board game! Playing is simple: just set up your game board, place the included shot glasses on the squares you choose, and BOOM! Go head-to-head with your friends and claim drinking-game glory! If other drinking games just aren't floating your boat, it's time to gather your crew and get SHIPWRECKED. And with three to four shots per opponent, you'll be sure to get wrecked while you practice and hone your nautical wartime strategy. Ensure the fun keeps flowing with tournaments, group play, and teams... Just order a few sets, and watch the night take a turn to starboard as you and your friends face off on the high seas! Order today and make sure that your next party is full of SHIPWRECK, not part of one! Set includes one game board and eight custom 2 US fluid ounce shot glasses. Overall dimensions of deployed game board are 17.19" x 7.00" x 8.88". Each shot glass measures 1.69" in diameter and is 2.48" tall.